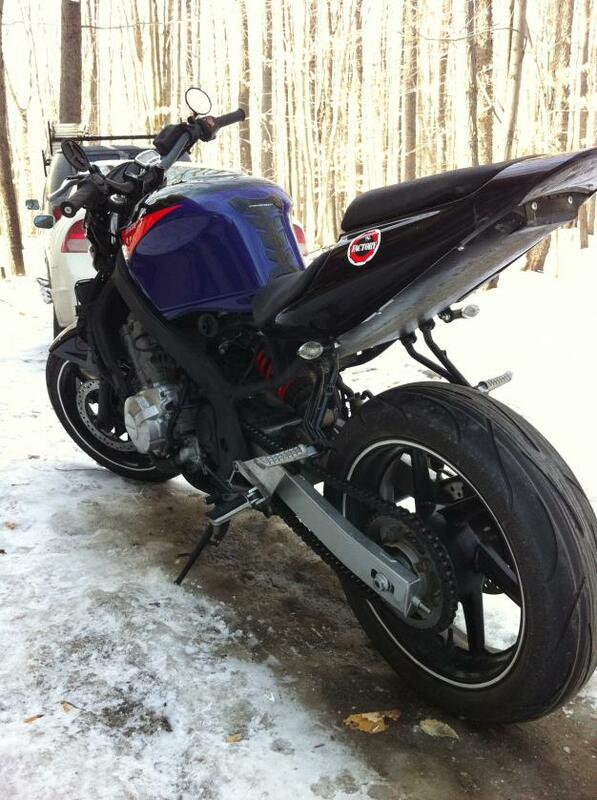 It is a 93 cbr f2 with a 600rr tail section. 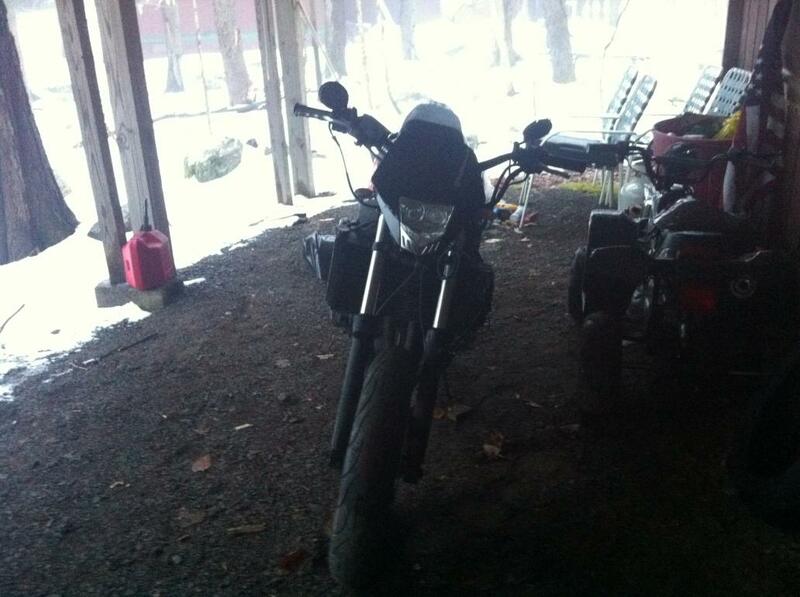 Just a couple things i want do to before it gets nice out is an undertail exhaust and a underbelly fairing possibly. Let me know of anything else i can do to spice it up a bit. new front end (forks, brakes, wheel, triple, etc.) is what i'd do next imo. 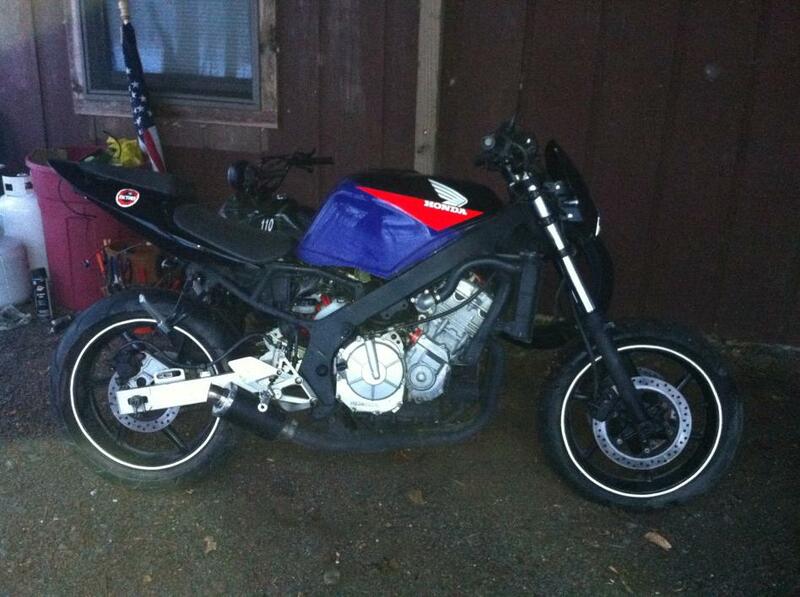 i'm sure a front end such as a 1000rr or something would work. 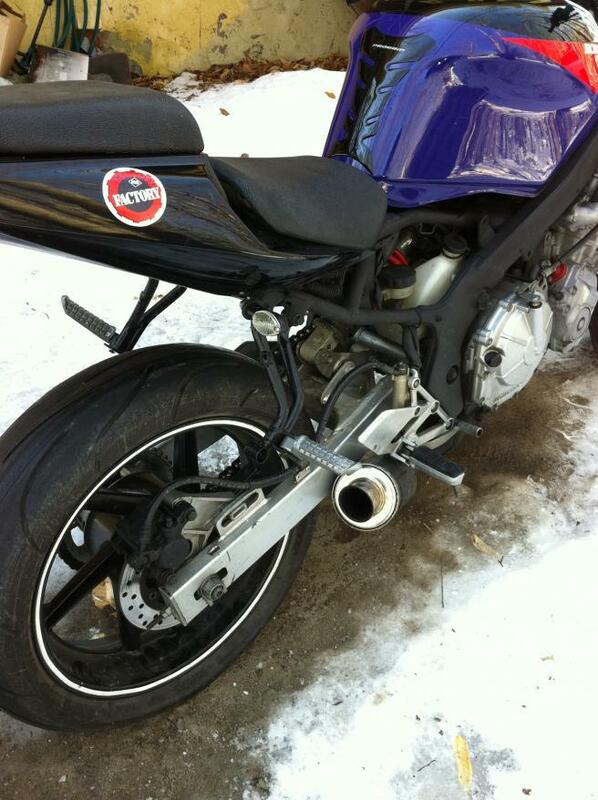 standard forks look terrible compared to shiny inverted ones that sportbikes use now. and if you do that, you'd also have bigger and better brakes, plus a lighter front wheel. i think it'd clean it up a lot. Now how do I find a front end that will fit on it. did you guys notice my custom undertail thing i made out of some aluminum trim? pretty nice cuttin ehhhh. hahaha I missed this one! I like it! 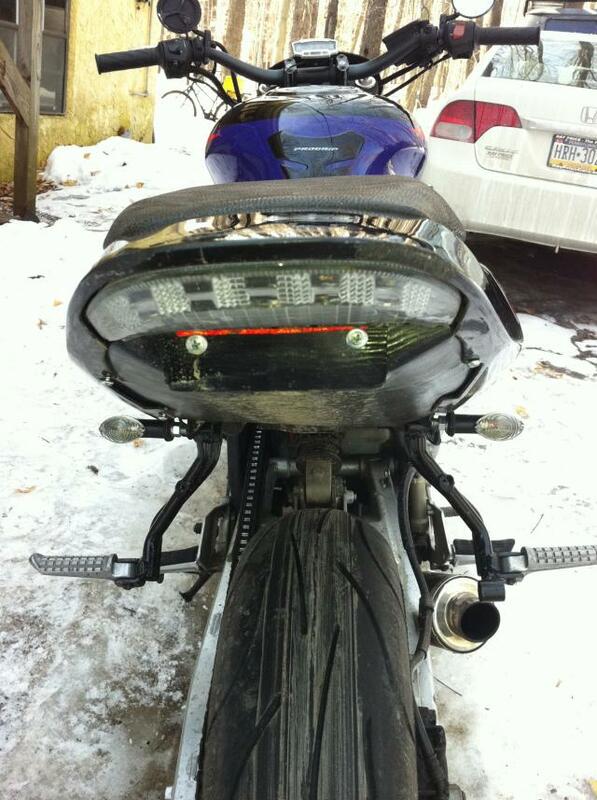 although I'm not a fan of those taillights, I like how they look on this bike. Nice and simple. And yeah, nice cutting on the undertail! Im not much of a fan of the street fighter look but you did a pretty good job on this. Gratz! 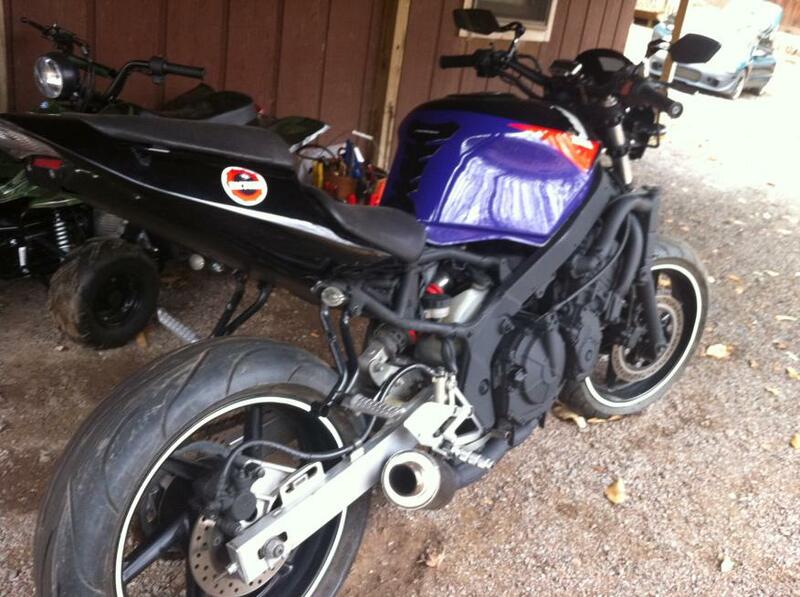 I have a F23, and put '98 Gsxr forks, wheel and 6 piston brakes. The forks are inverted and hella lot beefier in comparison to F2/F3 forks. Only 1" 1/2 shorter than stock. I will be posting it up very soon. Allballsracing.com has a conversion kit for the headset match. I like what you have done so far but I feel like something is missing between the tank and tail plastic. I feel like you can see to much mess there. The only way I can think to hide is is a longer tail plastic that goes under the seat too. Yeah i know, im trying to find something to put there. Maybe a piece of diamond plate bent to fit in there or something. I just painted the motor and redid the exhaust since i posted this, think it came out pretty good too. Thought about spraying the tank too but i dont know if i should even mess with that. Tomorrow ill take some better pics because my iphone 4 takes better pics them my didgital camera. Last edited by myfreshdcs09; 04-24-2011 at 09:25 PM. Check Out my video on how to check fuses are good.